How to Buy a Painting. The last year or so I have been experimenting with mixing media. The results of some of this experimentation is in New Work and in my new collection of paintings inspired by Summer Hedgerows. Moorland Moods has paintings from Derbyshire and the Peak District exploring the beautiful countryside around where I live. The hills, valleys and moorland in moments of summer glory or moody winter. 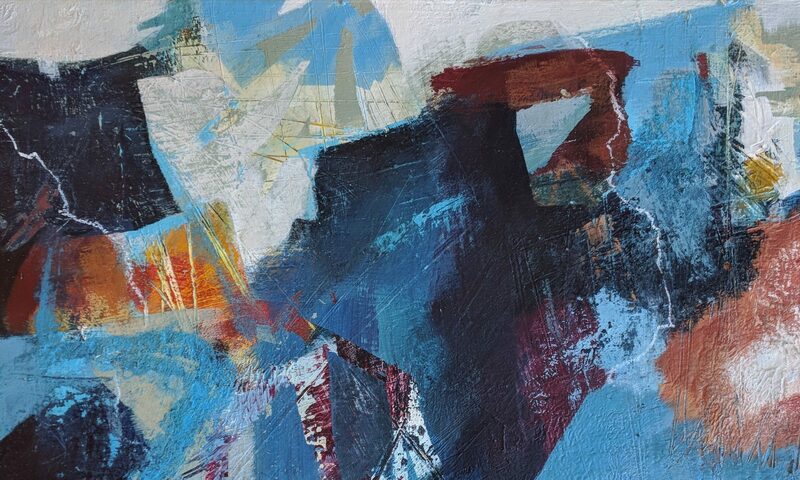 Blue of the Scillies is a collection of paintings from trips to the Isles of Scilly in summer 2010 and 2011. They are inspired by the quiet beauty and wonderful seas of this lovely place. Finally there are two small series of paintings in Bluebells and Acrylic Paintings I am exploring the flexibility of the paint, playing with colour and trying different techniques. Some of my paintings are also available as giclee or digital prints. To see what is available go to the Prints tab.